Commissioned by a lovely woman who has a big heart for these gentle giants that are sadly an endangered species. These beautiful creatures are unfortunately hunted for their fins. 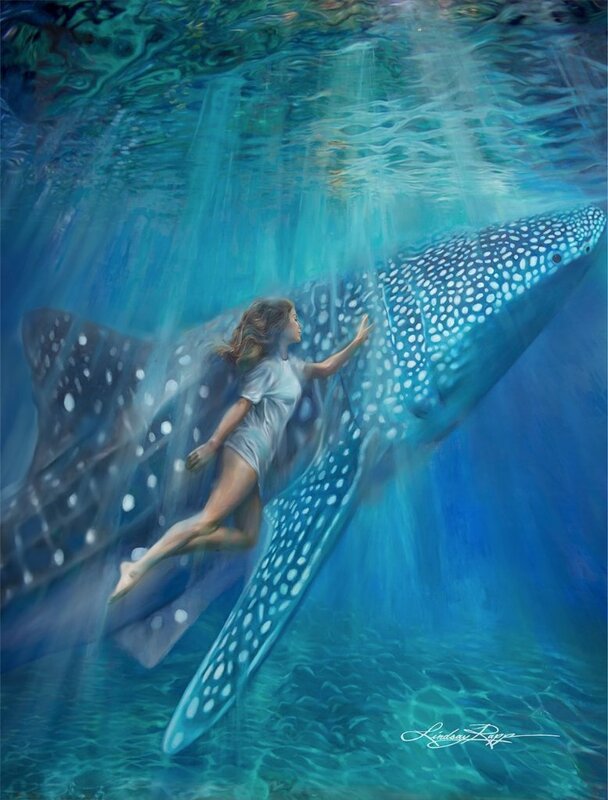 She wanted this painting to portray a young woman swimming in the shallows with her best friend, a whale shark. I absolutely loved getting to know her through this commission and wanted to share with you an excerpt from her initial message to me that I related so much with: "The thing is, for me, the ocean has always been a place where I could go when I was feeling not quite myself. It's this constant in my life where I can always go if something happens and I need to get back to basics. Kind of like having a great blue friend."